About Migraine: Is Migraine Curable? 2) You can’t begin to imagine how awful they are. Migraines are intense, debilitating headaches. The most common categories of migraine are those without aura (previously known as common migraines) and those with aura (previously known as classic migraines). Despite being the seventh leading cause of disability worldwide, migraine “has received relatively little attention as a major public health issue,” Dr. Andrew Charles, a California neurologist, wrote recently in The New England Journal of Medicine. It can begin in childhood, becoming more common in adolescence and peaking in prevalence at ages 35 to 39. It afflicts two to three times more women than men, and one woman in 25 has chronic migraines on more than 15 days a month. A migraine is not just a headache, and attacks can include a variety of debilitating neurological symptoms. Head pain associated with a migraine is typically throbbing in nature and located on one side of the head. It is common to experience nausea and vomiting during migraine attacks, in addition to a wide variety of other symptoms. Yeah, migraine is completely curable with right Homeopathy treatment. 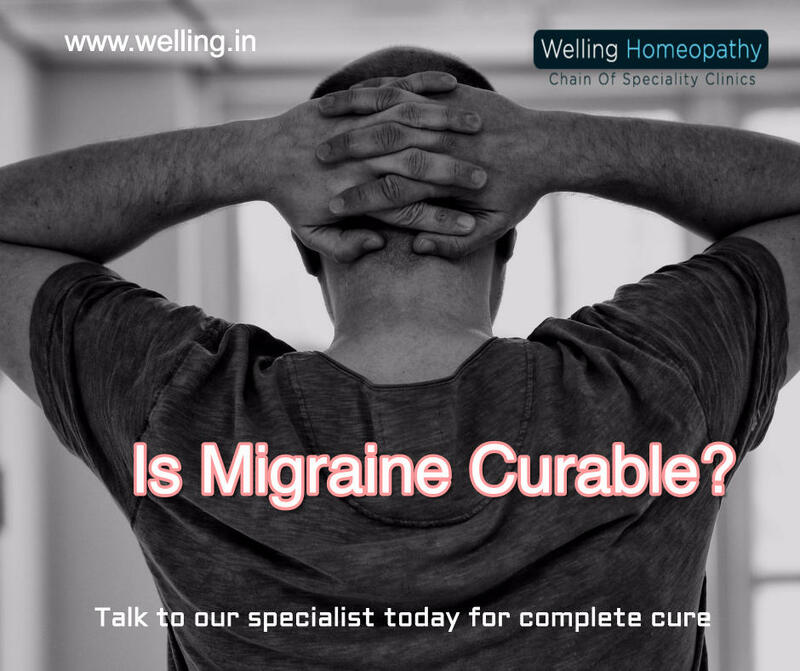 We have developed a specially formulated Homeopathy treatment for a migraine that starts by reducing the episodes of headaches and gradually, the treatment helps you recover completely from Migraine attacks. Usually it takes 12-18 months but it can be earlier too. You can talk to our specialist to know more about our specially formulated treatment for a Migraine.